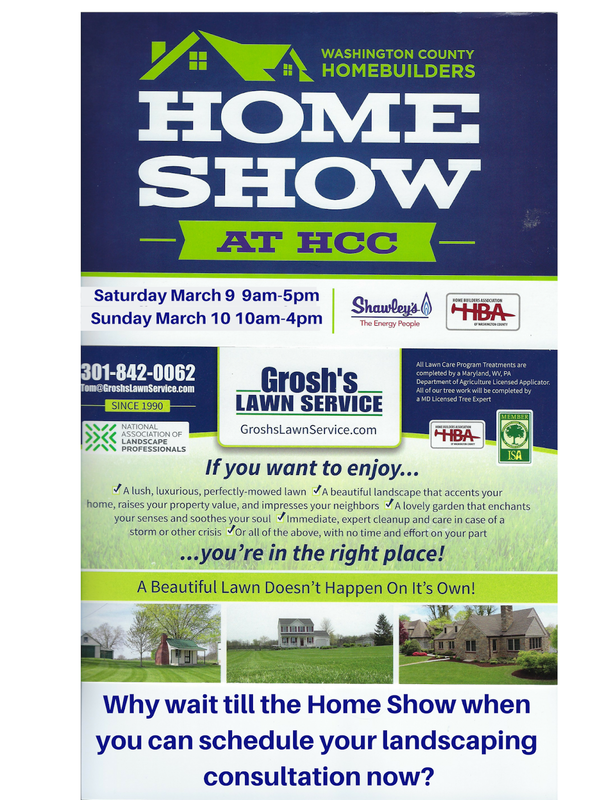 The Home Show 2019 at HCC ARCC Saturday March 9 9am-5pm and Sunday March 10 10am-4pm in Hagerstown MD and Washington County Maryland. 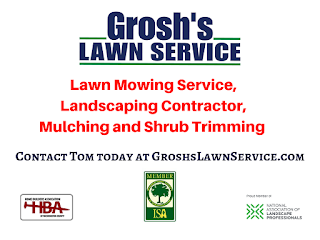 Did you know that if you contact Tom today at GroshsLawnService.com and schedule your landscaping, lawn mowing service, spring cleanup, shrub trimming, mulching and lawn care treatment program consultation now and you can get on the project list and be on the top and no delay. 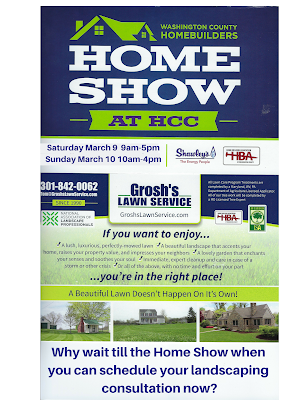 Contact Tom today at GroshsLawnService.com and beat the Home Show Rush.